It doesn’t take much effort to find Martin Guitar’s imprint throughout the music scene. No matter what genre of music you listen to, chances are that you have seen the simple “C.F. Martin & Co.” logo on the guitar of your favorite musicians. If you’ve ever played a Martin, you definitely know a Martin guitar’s unmistakable sound and tone. Unsurprisingly, he list of players who have played Martin’s guitar is a who’s who of music industry: Elvis Presley, Eric Clapton, Kurt Cobain, John Mayer, Ed Sheeran, Jeff Tweedy of Wilco and countless others around the globe who have played the legendary brand’s six strings. In the early 1900s, C.F. Martin & Co. created what would later become one of today’s standard acoustic guitar shapes: The Dreadnought. Today Martin continues to push the envelope with design and the use of sustainable materials, yet remains true to the authentic craftsmanship they are known for. Over the years, the company has collaborated with artists such as Gene Autry, Willie Nelson, Eric Clapton, Stephen Stills and many others, and always tried to find ways to meet their musical needs. More recently, younger generation of artists like John Mayer and Ed Sheeran have worked with the company and created their limited edition instruments. As far as guitar-making, Martin welcomes new ideas that these artists bring in and remains open-minded about incorporating fresh aesthetic to continue to create quality instruments and sound for future generations. Among the innovations Martin has introduced over the years, none has been more important than the Dreadnought, which became the standard acoustic guitar after being created in the early 1900s. Many musicians would call them “dreads” or “D-size” guitars. This type of guitar is very common today, but it was Martin that first invented it. When it was first introduced, however, it wasn’t well received, as the body was bigger than previous models. Since then, other makers have made the same guitars, but Martin was the pioneer. After 1900, louder and more percussive guitars became more popular, which led to the popularity of metal strings. Subsequently, the company increased the production of steel strings. As far as innovation is concerned, Martin utilizes technology in order to meet the musical needs of artists and not for the sake of showcasing fancy cutting-edge technology in their guitar-making craft. After all these years, they still carry the torch of handcraftsmanship passed down by the founder, and it remains as a part of their production process and C.F. Martin & Co.’s identity. With Christian Frederick Martin VI currently serving as the CEO, the company has been in existence for over six generations since late 1880s when the founder C.F. Martin Sr. arrived from Europe. Just as the Martin family’s craftsmanship has been passed down from generation to generation, many employees at C.F. Martin & Co. today are second and third generation workers. But the origin of craftsmanship goes way back further than that. It all started before the founder, Christian Frederick Martin Sr. emigrated to the U.S. from Europe in the late 1880s. The founder of Martin Guitar, Christian Frederick Martin Sr. was born in Markneukirchen, Germany in 1796. Growing up in a cabinet making family, he continued a family tradition and learned how to make a guitar from his father. His father sent him, then 15 years old, to Vienna, Austria where he studied under the reputed guitar-maker by the name of Johann Georg Stauffer. Not long after his arrival, the talented Martin started working at the Stauffer’s shop as a foreman. After the marriage and the birth of his son, Martin returned to his hometown and started his own guitar-making shop, only to be involved in a dispute between two guilds: Cabinet Makers Guilds (associations of artists and merchants) and Violin Makers Guild. At the time many guitar makers in the area were members of Cabinet Makers Guilds. Basically, Violin Makers Guild believed that their instruments were far superior and considered guitar makers’ instruments nothing but a piece of furniture. And they tried to limit the competition by prohibiting cabinet makers from making instruments. Obviously, the situation didn’t help young Martin’s aspiration to start his own guitar-making shop. Thus, he decided to emigrate to the U.S. to seek new opportunities in the new world. Immediately after arriving in the new land, C.F. Martin opened his shop in New York, but the harsh environment in the metropolis was not what he was used to in the rural area of his hometown in Germany. He soon relocated his business to Nazareth, Pennsylvania, where he spent the rest of his life. Major Innovations by C.F. Martin & Co.
C.F. Martin’s first innovation as a guitar maker was the X-bracing system where two braces form an “X” shape across the soundboard, which helped create the signature Martin tone. Martin came up with the 14-fret neck guitar, which allowed players to reach higher notes with much ease. This was particularly helpful for plectrum banjo players who wanted to switch to a guitar for more work opportunities. Many acoustic guitar models you see today originated from the Martin’s dreadnought type guitar introduced in the early 1900s. 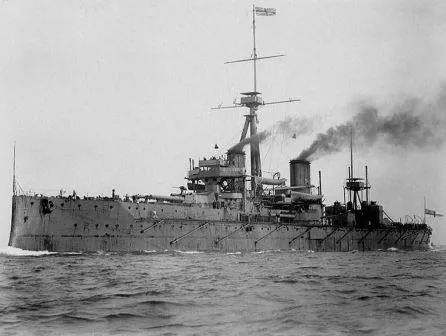 In 1906, the Royal Navy’s newly built battleship was significantly larger than its predecessors. So, the guitar was named from the idea that the ship of that size didn’t have to fear anything. The dreadnought guitar produced louder sound and the bass sound was more powerful, as the body was larger and deeper than previous models. It wasn’t accepted favorably when it was first introduced, but it helped country musicians accompany other musicians as the sound system was not great at the time. The guitar sales declined drastically during the Great Depression Era, but the company invented the two product lines that would later become the standard: The Dreadnought guitar and the invention of the 14-fret neck. Folk music was big in the early 1970’s and popular artists like James Taylor and others helped increase the sales further. For the record, in 1971, 5466 D-size guitars were made while in 1961, it was only 507. With the rise of electronics, the 80’s wasn’t the best time for acoustic guitar makers, but MTV Unplugged in the 90’s helped regain the sales. Today D-series accounts for approximately 80 percent of Martin’s yearly production, which goes to show you how Dreadnought guitars have become the standard model of acoustic guitars today. We are perhaps now seeing other models become more popular again, particularly with other brands. But certainly they are still one of the most common guitar types that you will see. And obviously for Martin they are still in high demand. For more about C.F. Martin & Co’s history check out the link below. Thanks for sharing that – very interesting read.